The first 20 tunes have been added to the Shropshire Tune Archive – download the pack and watch videos via the links below. John Kirkpatrick, who lives near Bishops Castle, has selected tunes including The Shrewsbury Rakes, General Hill’s Favourite, and the intriguingly named Lumps of Pudding! John: “Trawling through the musical history of Shropshire has unearthed some great music that tells the story of life in our county at different times. “From a tune that was played as the crowd would process to the Shrewsbury Show in the 1800s to several dance tunes from a carpenter in Newport, there is some wonderful music that will now be preserved forever and shared with a new audience. 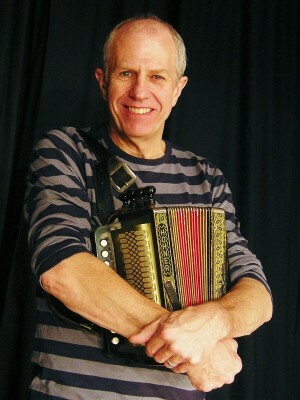 All Together Now Project Manager Joy Lamont: “We look forward to working with John as he shares the tunes at future festivals and through workshops with the Shropshire Youth Folk Ensemble. All Together Now is the festival’s two-year programme of activities for musicians, dancers, schoolchildren and communities to introduce a new audience to folk and world music. The project received an £86,410 investment from the National Lottery through Arts Council England, a £5,000 Arts Development award from Shropshire Council, and £2,000 from Shrewsbury Town Council. The Festival will meet the remaining cost.